Annual Conference 21st November 2019 Special Early Bird Offer for a Limited Time – Book Now! The RSMA typically hosts a number of events across the year, from member-only events to larger conferences with a vast range of speakers and delegates from the wider highways industry. 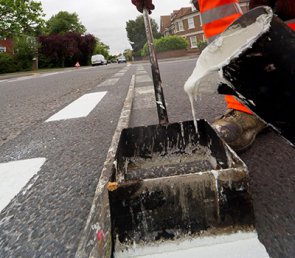 The Road Marking Specialist Applied-Skills Programme is an industry approved training program designed to suit all new entrants into the sector. Take advantage of specialist advice and consultancy for Health & Safety, Quality and Environmental standards, as well as management of your business training requirements. Promotion of your business through listings on our website and in our Top Marks magazine which is distributed nationally within the highways sector. Access to RSMA research and RSMA facilitated research into road marking network performance, skills standards, health & safety initiatives etc. We have a wide range of training courses to choose from. If you join you will be able to take advantage of them. NVQ Assessment services for the Road Build NVQ, through our own CITB/City & Guilds Accredited Assessment Centre. The RSMA sets the skills and standards for the road marking industry, driving and maintaining all aspects of quality and safety. These are just some of the benefits our members are given access to. To see the full list click the button below and join today!